Previously, we harped about 6 of the most advanced weapon systems being tested by the United States military. But this time around we have decided to up the ante to also cover some equally fascinating developments in varied technological fields. 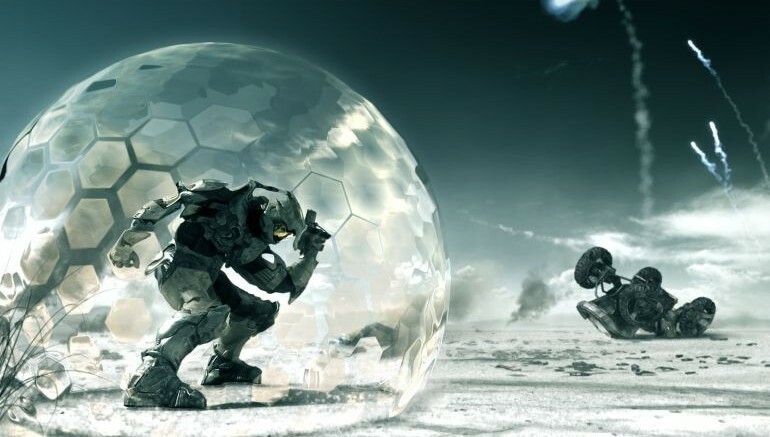 So, without further ado, let us check out ten such upcoming advanced technologies that pretty much match up with the grand scopes of science fiction. 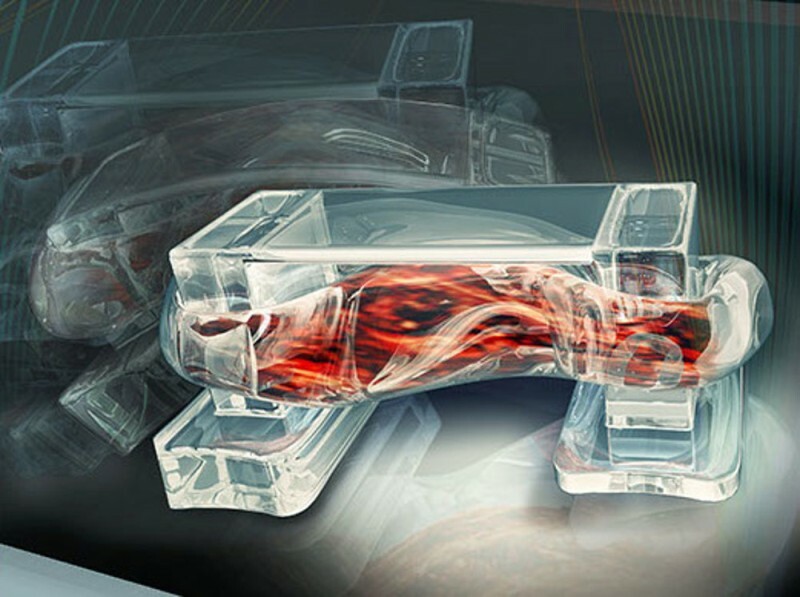 In a fascinating attempt to demonstrate the potential of biological machines, researchers at the University of Illinois (at Urbana-Champaign) have developed a group of tiny, walking bio-bots, whose movements are controlled by actual muscle cells. These one-centimeter-long ‘robots’ are composed of 3D-printed hydrogels and functional live-cells (of skeletal muscle cells). This technical aspect seemingly alludes to science fiction, with the entire synthetic-organic combination being powered by electrical pulses. 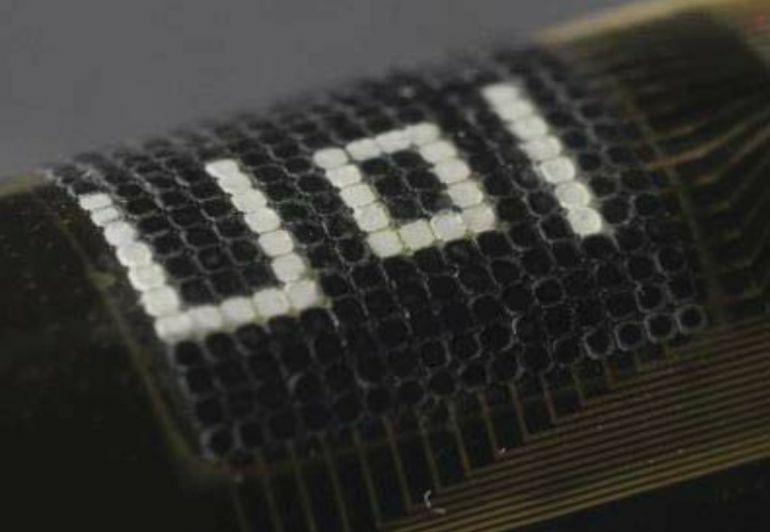 In fact, the frequency of the electrical pulse is directly proportional to the speed of these tiny bio-bots. But beyond the scope of velocities, the researchers are also looking forth to gain better control of the bio-bot’s movements, especially regarding different directions and in response to different stimuli. For example, incorporating neurons into this incredible setup allows the scientists to steer the robots in the direction of light or chemical changes. 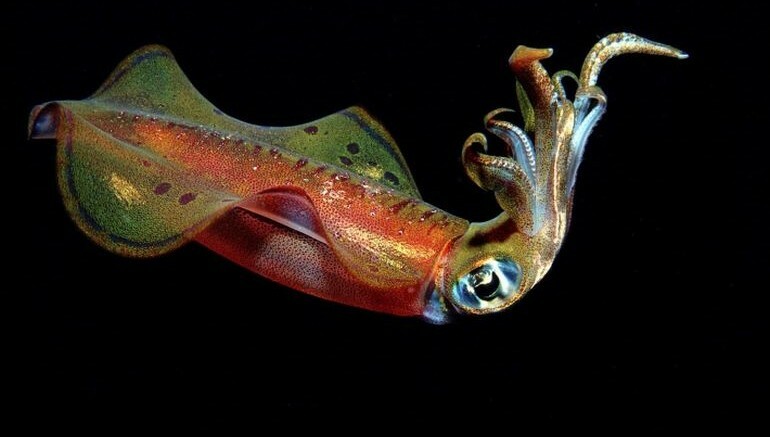 Researchers at the University of Nebraska-Lincoln (UNL) were inspired by the camouflaging ability of cuttlefish, and have consequently concocted an advanced material that can change both its color and textures within a matter of seconds. This physical transformation is ‘fueled’ by pulses of light – which leads to the warming of the material pixels (where the light is actually absorbed). The resultant rise in temperature in turn causes the physical morphing through diminutive ruptures on the surface of the said material. These ruptures are instrumental in attracting colloids – which are specially incorporated substances consisting of tiny particles of soda lime, glass, or copper. These colloids then mimic the true color of the incident light, thus leading to the change of color and texture of the main material (in accordance with the light color). For example, if a red light is shone on a green surface, the surface gradually morphs into red. However, as the researchers made it clear – changing colors is not actually a new application, given the prevalence of televisions in almost every household. But where this technology truly shines relates to its ability to also change textures with the aforementioned combination of light and heat. In fact, one particular demonstration showcased how words and particular symbols could be ‘inscribed’ on the structure – and they would become invisible when the material cooled down, and again reappear when the material was heated. Simply put, the nigh science fiction-like technology can make way for advanced camouflage in case of military scenarios. Those of us who had enjoyed their fair share of action and science fiction flicks, will understand the virtue of a handy weapon that can ‘fry’ those intrusive enemy electronic devices from afar. 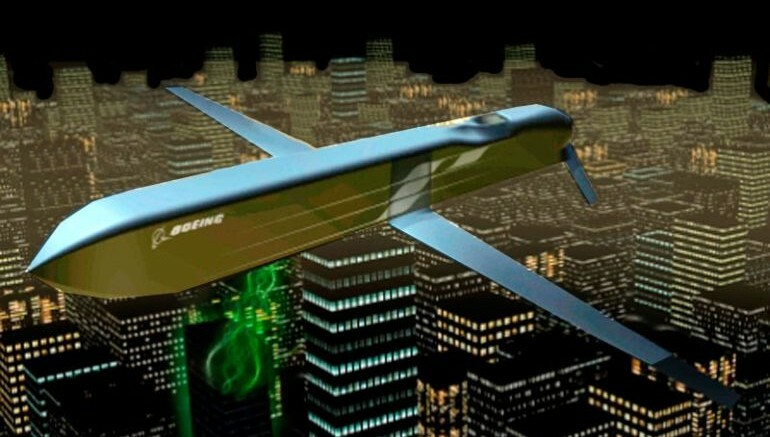 And, that is exactly what Boeing and Raytheon has collaborated on – in the form of Counter-electronics High-powered microwave Advanced Missile Project (or CHAMP). To that end, Lockheed Martin’s stealthy, long range Joint Air-to-Surface Standoff Missile (JASSM-ER) had been recently nominated as the optimal platform for the CHAMP – thus allowing it to be carried as an airborne projectile. And, in case you are thinking – this scope is a bit far-fetched, the CHAMP had already been test fired in 2012, during which it successfully took out the computer-connected system of an entire military facility! This test was done on the Utah Test and Training Range, with the weapon being successfully able to discharge its electromagnetic pulses on seven different targets – which led to the dismantling of their electronic setups and even the shutting down of the camera that was recording the impact. Such incredible results were achieved by virtue of the missile’s specialized electromagnetic pulse cannon that is fueled by a powerful microwave oven of sorts. In essence, it possibly generates a concentrated beam of energy that causes the voltage surging of the targeted electronic equipment, thus ultimately leading to its ‘frying up’. In 2013, the US Air Force had successfully tested out the X-51 Waverider, a hypersonic aircraft that was able to fly an impressive 60,000 feet above the Pacific Ocean. And now, scientists from both the Air Force Research Laboratory and Pentagon’s research arm are collaborating to built upon this prototype. The resultant contrivance (planned for 2023) entails a high-speed aircraft that will be able to cross the threshold of Mach 5 (5 times the speed of sound or almost 4,000 mph!). Of course, such exhilarating velocities will not allow humans to operate inside the plane; and as such the planned aircraft is envisaged to be unmanned that can cover strategic distances in short periods of time. 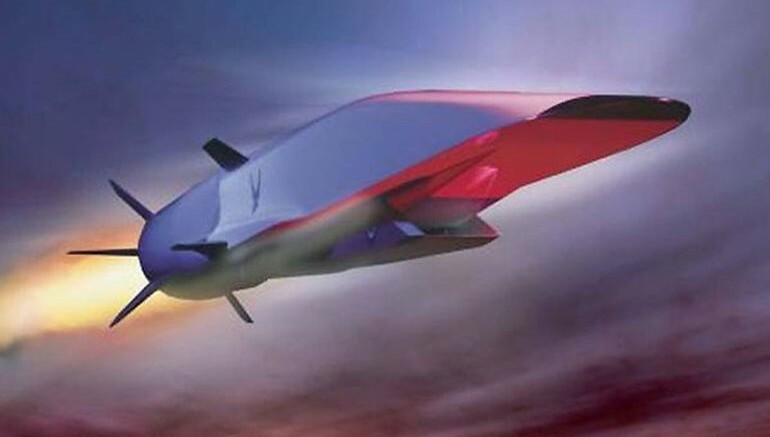 From the flight perspective, the hypersonic Mach 5 aircraft will have scram-jet based technology that allows such exceedingly high-speed credentials. The design will further incorporate state-of-the-art materials and improved guidance systems that can function in such speeds – thus making it perfect for tactical transportation of military equipment like sensors and weaponry between large distances (or potential conflict zones). Now of course, beyond nifty ‘science fiction’ aspects there are practical limitations. In that regard, the new aircraft is only expected to take to the skies in 2023. The HELLADS (or High-Energy Liquid Laser Defense System) by General Atomics is as futuristic as it gets in the realm of airborne warfare. Designed as a laser cannon (or photon cannon), the main advantage of the HELLADS lies in its ultra-compact size that is only one-tenth in dimensions and weight – if gauged to comparable systems (like HEL MD and LaWS). In other words, the streamlined size-factor of the weapon system is optimized for aircraft, with its weight of just around 2,000 lbs (907 kg). And, in spite of this small-size factor, the weapon system can fire upto 150 kW photon beams. 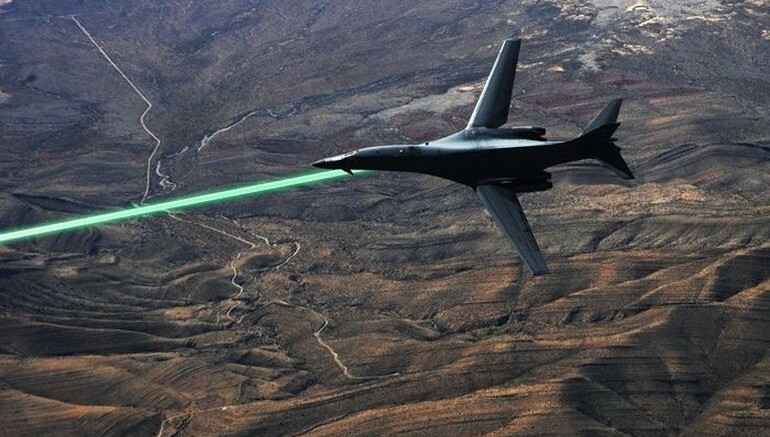 Such laserbeams are good enough for dismantling enemy drones and even destroying potent warheads. 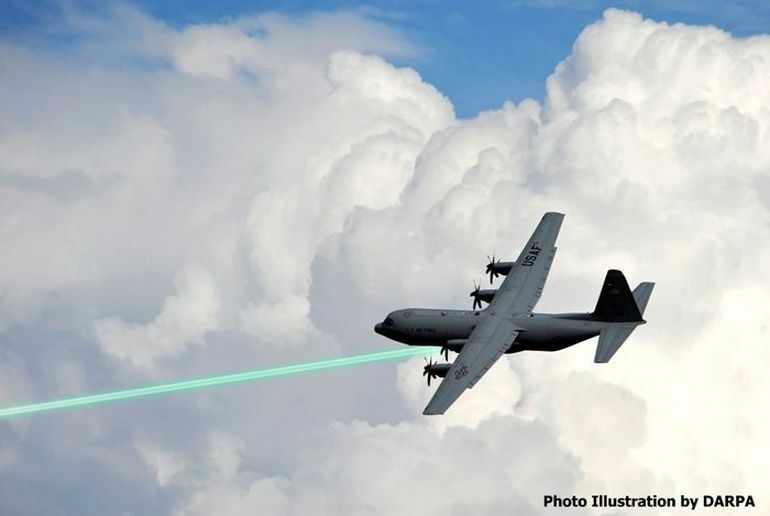 To that end, the US Defense Advanced Research Projects Agency (DARPA) has already received permission to carry out field-tests of the laser cannon, with the live-fire scenarios expected to commence by summer of this year, in the White Sands Missile Range in New Mexico. 1 Comment on "10 upcoming technologies that mirror the realm of science fiction"
You left out a couple of things. Most notably that all of this technology will soon be powered by LENR.